You can not imagine your life without the Internet. Every person has been linked with this in a different way. People are using the Internet and complete the work. Every place and technical devices are connected to the net. In some countries, these tools are using to manage home security, message sharing, data collection, storage, manage the car, home appliances etc. The Internet is also using villagers to know the exact price of the crop, know about the government scheme details, crop cultivation process. The Internet makes easier to get the suggestion from the top doctor for the patient, who is admitted to the village health clinic. Internet speed is the biggest issue. The problem creates due to bad connectivity. The operating system does not work smoothly. A slow speed, buffering, spotty connection creates a big problem for the user to connect the device to this condition. The main problem creates when every member of your family want to connect his device to the actual mobile phone. Every member uses the internet to access and search the content. Low connectivity can be managed through the use of Apps. You have to download it. Some apps are very good to give the full control by your Smart-phone, they add parental control to the performance test. 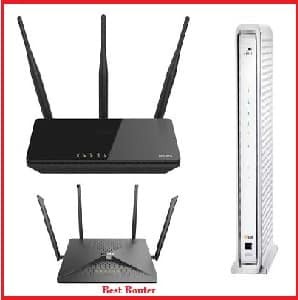 Now, you should know about some good routers, which can be managed by apps. These processes provide good control over it. NETGEAR - If you have purchased the router from Netgear, then you have to install the Netgear app on your Smartphone. This is the best way to manage the home internet network. You can use this app to set the different type of router setting like - wireless settings, network map, parental control, guest access, traffic monitoring, my media. This app is only working, when your phone will be connected to the Netgear router. Your phone should be in router mode, not the access point. Linksys - This is one of the best devices to manage your router in a good way. This company has provided an app, which connects from your phone and manages the router. You will be tapped on your Wi-Fi and check the device connectivity. Now setup guest access or far from the reach of children. The link app work with Velop system and Linksys Smart Wi-Fi router. ASUS - If you have ASUS router then you can download this in Smartphone and use this to monitor the router. You can also manage the router as per your wish. You can do so many other things with this instrument. TP-Link Tether - This App will help you to manage TP-Link Router, XDSL Router, Range Ax-tender. So many other activities can be done through this Apps. You can setup SSID password, device internet, and VDSL/ADSL settings. Another plus point is that you can block other users too. These are the useful tools to strengthen your control on the Router and everything can be managed from Smartphone. Drop your comments in the given box.